Building your church's new space requires an average of 50,000 decisions. Check out these common mistakes from the architects at Equip Studio BEFORE you jump into the process. Jonathan started helping churches tell their story through Architecture over 10 years ago. During that time, he has managed over $50 million worth of construction projects. His firm, Equip Studio, specializes in church design and works with an average of 25 churches per year. 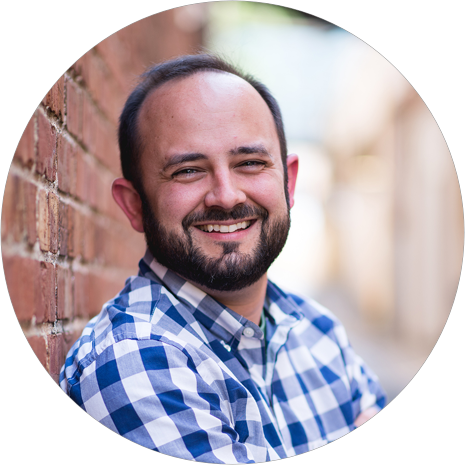 Jonathan graduated from Clemson University with a Bachelor of Arts in Architectural Design in 2006 and received a Master of Architecture Degree in 2010. He enjoys spending time with his family and learning new things in the field of Christian Apologetics. He serves his local church as a Deacon, High School Sunday School Teacher, and Social Media/Website Manager. Tossing resources into a new building is not a growth strategy. In our context, it refers to the false belief that pumping money into a building will result in radical church growth. Since we haven’t been called to build buildings (Acts 7:48-50), we must be careful stewards of the resources we have been given. We should focus on the ministry first and build only when it hurts. Hiring the right team is crucial. There are many ways to structure a team for a building project. They each have their various pros and cons. A church will often have design and construction professionals within its membership, and they typically want to be involved. While I can’t speak for every scenario, this is rarely a good idea. The building process is usually political, complicated, time-consuming and involves money. Any combination of these factors can mix in a way that results in emotionally-driven disagreements that could have a lasting negative impact on your ministry. Likewise, hiring the wrong professional can lead to the same result. The team you assemble will be working together for several years. Each member of your building team must be candid, humble, experienced, thorough, and honest. Talk to other pastors who have gone through the process. Find out who they used, what they learned, and what they recommend. In the digital age, don’t be afraid to venture out of town to find the perfect fit. Go to dinner with them and get to know the individuals you’ll work with. Find and interact with them on social media. Talk to their clients. Pray. Once you are confident you’ve found the right architect, contractor and consultants, bring the team on board early and keep them informed of what you’re thinking. Then, trust them to help you make the right decisions throughout the entire process. Planning is for future generations. Building is exciting. Planning is (usually) not. For this reason, there will be an overwhelming urge to breeze past one of the most important components of the design process: the Masterplan. If you’ve hired the right design professionals, the development of a Masterplan will actually be one of the more enjoyable stages of the process. A great Masterplan will address your immediate needs and look ahead to establish the church for the future. Nothing is more heartbreaking than encountering a church whose ministry is crippled by a facility that came about as a result of poor planning. Don’t skip this important step! The power of evidence-based design. One of the most challenging parts of my job is helping churches think realistically about what they really need from their facilities. I’ve had churches averaging 350 on Sunday mornings tell me they need at least 1,000 seats in their new Worship Center. While I’m sure there are plenty of architects out there who would love to collect design fees on a project of that size, I told the church this: You would end up with a $250,000 roll of drawings sitting in the corner of your office detailing how to build a beautiful building... that you can’t afford. A better approach is finding an architect who will take the time to collect real data about how you use your current facility, how many people come through your doors each week, and what their needs are when they get there. This data is powerful evidence. This evidence, along with historical and comparable data kept and studied by the design professional, should be used in a scientific approach to determine what you really need. Keeping people informed without letting them down. Communication is one of the most important things a pastor can do when it comes to maintaining the trust of his church. There are many great resources for churches explaining how to do this often and with excellence. When it comes to a building project, proper communication is paramount. Every person who gives to the building campaign maintains a strong emotional connection to the process. They give sacrificially because they imagine their grandchildren hearing the Gospel within the walls of these buildings you worship and teach in. Therefore, a caring pastor’s first instinct will be to convey every possible detail of the process as often as possible. I would caution you to avoid this common mistake. Certainly, there are things which need to be communicated often to the entire church, such as overall design intent, cost, and timeline. However, pastors should carefully avoid “hyper-communicating” the minute details and specifics of the project. The last thing you want to do is present your Conceptual Design and promptly announce the exact date you will be in the building the following year. Like what you read? Drop your email below for fresh content, weekly!